Colorados: A classic barreling wave, one of the best in Nicaragua. It is a rivermouth break that is typically a left hand wave, but also a right.The wave starts breaking at waist high and can go on breaking in double overhead swells. The wave is powerful and does produce good barrels. 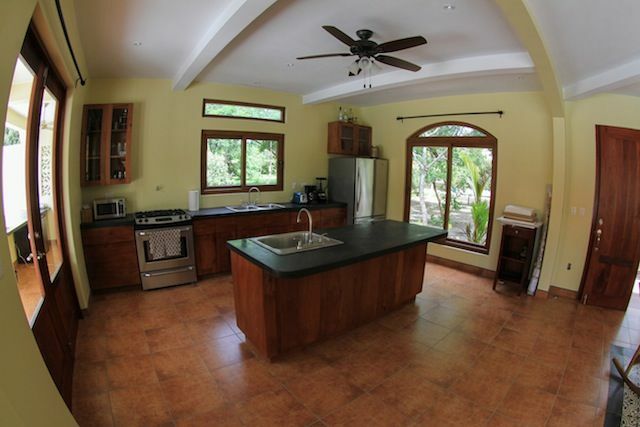 You’ll enjoy the best location in Hacienda Iguana (the gated secure community) on the breezy, mid north side of the private beach where monkeys are there every morning waiting to greet you. The beach is just 50 meters outside the door. 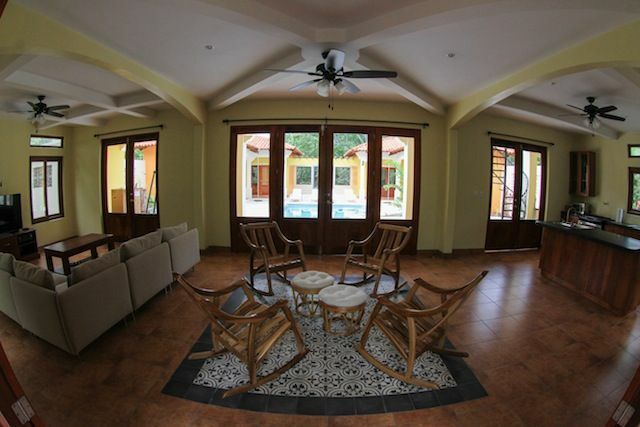 As you enter the villa, your eyes will be drawn to the large courtyard and private pool. 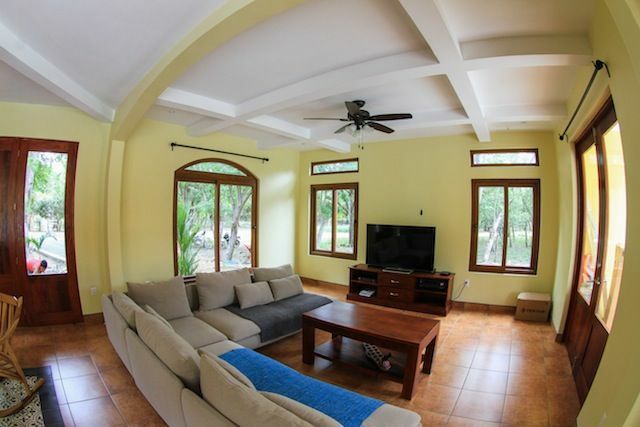 The main floor includes four large bedroom suites with full bathrooms, the Great Room with living room area, dining area, and fully stocked kitchen. 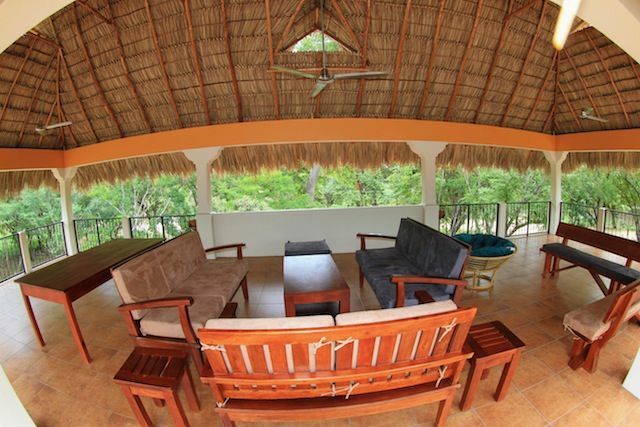 As you walk into the courtyard, you will see the staircase leading up to the large Palapa and second story lounge, where we will be doing our yoga sessions. Under the stairs is a full service bar, a BBQ and a smoker for use! Each bedroom offers its own self-controlled air conditioning system, as well as new smart televisions with mirror and Netflix capabilities. Wi-Fi works well throughout the house. 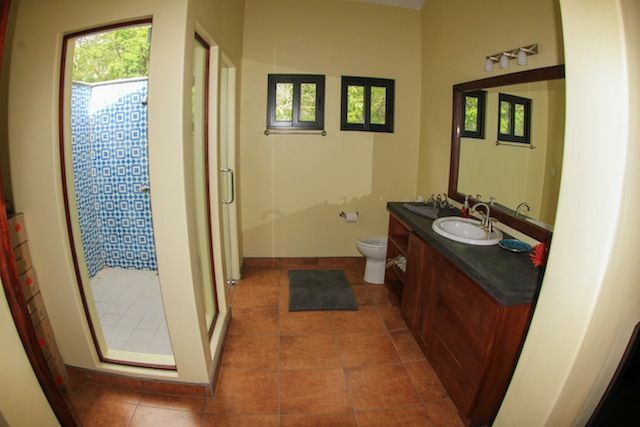 The house is decorated in a casually comfortable style with tile floors throughout and bright colors flooded with light: it’s a place where you can feel at home and relax into Nicaragua living. Lisa is the founder of Ohana Rising Yoga School in Ocean Grove, NJ. Her passion & experience masterfully connect people with their own splendor & light. She is known for her workshops on energy & chakras, trainings in children’s yoga & her love of sharing kirtan. She has multiple retreat & teacher training experiences, including partnering with us in 2015 for our inaugural Surf Yoga Retreat to El Salvador. She is a certified yoga teacher under the 500hr Life of a Yogi teacher training at Dharma Yoga in NYC. Nicaragua is a democratic republic and the largest country in Central America. Nicaragua (or Surrounded by Water as the name is literally translated) is bordered by Costa Rica to the South and Honduras to the North. Nicaragua’s proximity to Costa Rica has encouraged reciprocal tourism between the countries. 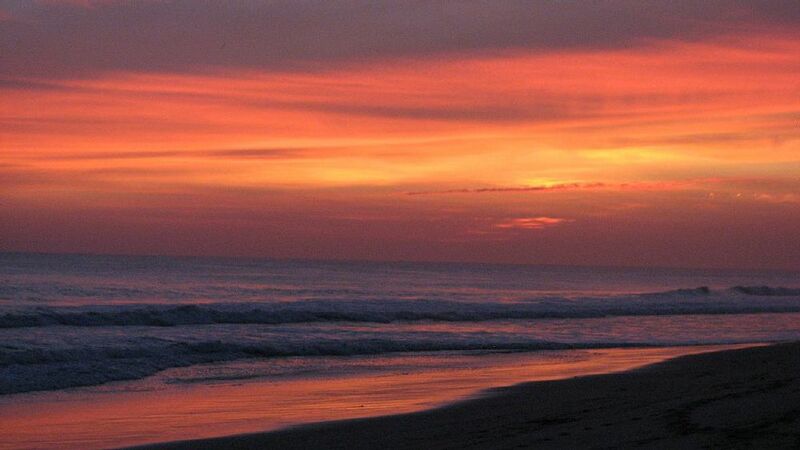 On the western side of the country, Nicaragua’s coastline abuts the Pacific Ocean, while on the eastern coast the Caribbean Sea meets its shores. 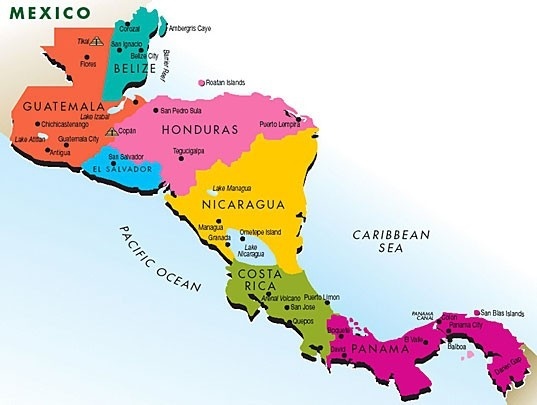 Nicaragua has three distinct regions: the Atlantic Lowlands, the North-Central Highlands and the Pacific Lowlands each possessing a unique climate and geography. Boat/Surfing Trips- Boat trips can be arranged using the local pangas (fishing boats) from Gigante. The boats have a small canopy, can fit up to 7 people and there will be a cooler with water aboard. The panga can pick you up just off the beach in Hacienda Iguana if you can swim or paddle out to it otherwise we can arrange transportation to Gigante to launch the boat from the beach there. *NSR surf shop has many other sizes and shapes of boards as well as stand-up-paddle boards that they rent. You can check out their quiver at http://www.nicaraguasurfreport.com/offeringsa.php?subcat=35. Surf Lesson with board – The waves at Hacienda Iguana can be too big and the ocean on occasions has too much current. Lessons will be arranged only if the conditions are favorable. Massage – The masseuse will come to your rental house or condo and bring a massage table. Please provide your own towels. Horseback Riding – We can arrange for up to 4 horses to be brought down to the beach for you to ride. You can rent a horse for $25/hour/horse and are welcome ride it where you like for that hour. 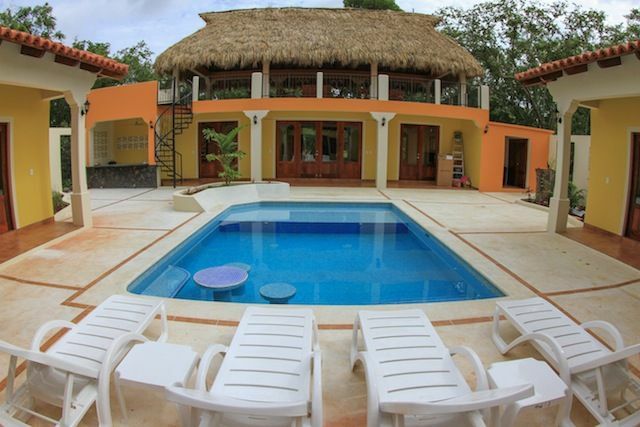 Come retreat with us in Nicaragua. Sunday, April 3- Sunday 10, 2016. Cost for 1 person is $1,200 if registered before January 1, 2016. 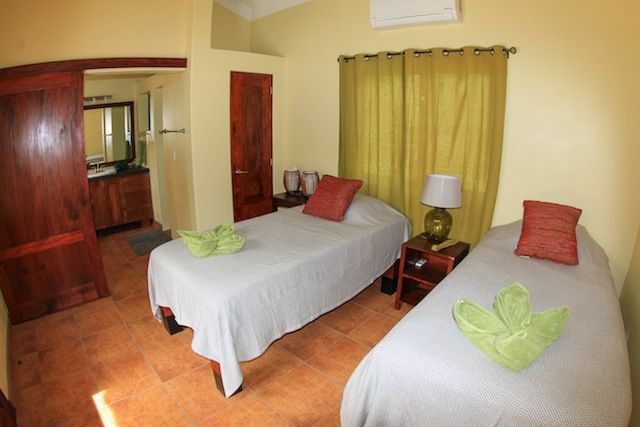 Includes Accommodation, Daily Yoga & Meditation, Airport Transportation & 3 Meals a day.